Being a veteran of the Zombie Slave War, H.B. Fist takes it personally a terrorist named Burner destroys the ZSW Memorial, killing thousands of innocent people. 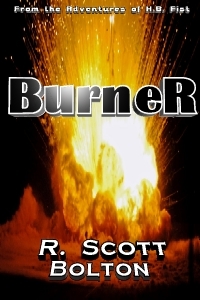 Fist not only eagerly accepts the assignment to bring the terrorists responsible to justice, he guarantees Burner will never hurt anyone ever again.